With a membership made up of authors from across the world, ALLi ambassadors enable our organisation to think globally and help locally. Click the ambassador list to find the ALLi Ambassador closest to you. Elisabeth Storrs is an Australian author who has long had a passion for the history, myths and legends of the ancient world. Her curiosity piqued by an Etruscan sarcophagus depicting a couple embracing for eternity, she discovered the little known story of the struggle between Etruscan Veii and Republican Rome and the inspiration to write the ‘Tales Of Ancient Rome’ series. Elisabeth has experienced both traditional and self-publishing routes and is currently an advocate for the Alliance of Independent Authors and a director of the NSW Writers’ Centre. She is also one of the founders of the Historical Novel Society Australasia. 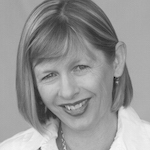 Rebecca Lang is an Australian author-publisher and former journalist and newspaper editor. She has travelled widely in her pursuit of a good story, following the trail of various extinct, rare and rumoured to exist animals including the Thylacine, Orang pendek and Australian big cat. She is the co-author with Michael Williams of Australian Big Cats: An Unnatural History of Panthers (Strange Nation 2010), which pieced together the legend of Australia’s mysterious ‘black panther’, and co-wrote the foreword for the cult classic Savage Shadow: The Search for the Australian Cougar (Strange Nation 2011). Most recently she edited the thought-provoking The Tasmanian Tiger: Extinct or Extant? (Strange Nation 2014). Dawn Grant writes under the pen name of D C Grant (inspired not by J K Rowling but K M Peyton). She started writing at the age of 16, writing for her then age group, and still writes for that age group, Young Adult as well as Junior Fiction. Her first book was traditionally published in 2007 and since then she has published two further books in a publishing partnership model and is now solely self-published. She started the Facebook group “NZ Indie Authors” in September 2013 which has become a forum for New Zealand Indie Authors to discuss everything relating to self-publishing. She is a supporter of the NZ Independent Book Festival and is working to advocate for indie authors in New Zealand. She is also a member of the New Zealand Society of Authors. Patricia Sands lives in Toronto, Canada, when she isn’t somewhere else. An admitted travel fanatic, she can pack a bag in a flash and be ready to go anywhere … particularly the south of France. With a focus on travel, women’s issues and ageing, her stories celebrate the feminine spirit and the power of friendship. Encouraging women of all ages to stare down the fear factor and embrace change, she has heard from readers (men too!) ages 20 to 83. Her award-winning debut novel The Bridge Club was published in 2010 and her second novel, The Promise of Provence was an Amazon Hot New Release in April 2013, a USA Best Book 2013 Finalist and a 2014 Finalist in Literary Fiction, National Indie Excellent Awards. Patricia returned to France in September 2013, for a month to research her next novel, Promises To Keep, which was released in September, 2014. Thanks to reader requests, she is busy working on the next book in what has now become the Love In Provence series. While in France in June 2014, Patricia led two 10-day tours of the south of France, based on her last novel, for the Womens Travel Network. Kevin Booth has published Celia’s Room, a novel of contemporary fiction set in Barcelona in 1990. Writing as K. Eastkott, he has penned the fantasy novellas Through the Whirlpool and Twilight Crosser, with a third instalment, Lake of Stone, due out in late 2014. A professional editor and translator, he currently lives between Barcelona and London. Liza grew up in Australia, working as a general nurse and midwife. She has now been living in France for twenty years, where she works as a part-time medical translator and a novelist. She is a co-founder and member of the author collective, Triskele Books and a book reviewer for the Historical Novel Society and Bookmuse. Liza is the author of the historical L’Auberge des Anges series. The first, Spirit of Lost Angels is set in 18th century revolutionary France. The second, Wolfsangel is set during the WW2 Nazi Occupation and the French Resistance, and she is currently working on the third novel –– Midwife Héloïse – Blood Rose Angel –– set during the 14th century Black Plague years. A writer, journalist, teacher, actor, director and cultural trainer, Jill has lived and worked all over Europe. 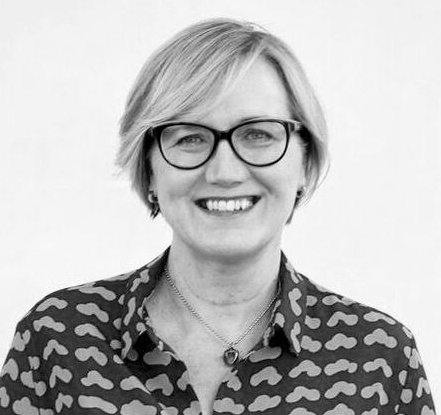 Now based in Switzerland, Jill is a founder member of Triskele Books, European correspondent for Words with JAM magazine, forms half of Nuance Words, co-edits Swiss literary hub The Woolf and pens a regular column for The Displaced Nation. Author of Behind Closed Doors, Raw Material, Tread Softly and Cold Pressed (Nov 2014) in the Beatrice Stubbs series and short-story collection Appearances Greeting a Point of View. Helena Halme is a Finnish author based in London. Her books include The Englishman, a best-selling romantic novel, which won an Awesome Indies badge on publication. Her other titles include The Navy Wife, a sequel to The Englishman, Coffee and Vodka and The Red King of Helsinki. The Finnish Girl, her latest novella, is a prequel to The Englishman. Helena grew up in Tampere, central Finland, and moved to the UK via Stockholm and Helsinki. She is the winner of the John Nurmi prize for best thesis on British politics, a former BBC journalist, and has also worked as a magazine editor and a bookseller. Until recently, Helena ran a Finnish/British cultural association in London. Her articles have been published in the CoScan Magazine, The ScanMag and the Finn-Guild Magazine. 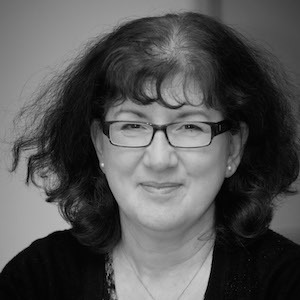 After gaining an MA in Creative Writing at Bath Spa University, Helena began to take writing seriously, and is currently working on the fourth book in The Englishman series. She lives in North London with her ex-Navy husband and an old stubborn terrier, called Jerry. She loves Nordic Noir and sings along to Abba songs when no one is around. Rasana Atreya is the author of Amazon bestseller Tell A Thousand Lies, which was also shortlisted for the 2012 Tibor Jones South Asia prize. UK’s Glam magazine calls this novel one of their five favourite tales from India (June 2014). Her other works are The Temple Is Not My Father and Half A Girlfriend (coming September 2014). Rasana declined a traditional publishing contract in order to self-publish. She has been interviewed on self-publishing by many major publications in India. A sampling of these interviews are available on her blog (rasanaatreya.wordpress.com). She is the only self-published author to be invited to the prestigious Jaipur Literary Festival as a panelist (January 2013). She was also invited to New Delhi for Amazon India‘s launch in February 2014. Now on to more personal stuff – Rasana would like to be able to tell her readers that she once stopped a robbery single-handedly, except she’s terrified of robbers. And geckos. And two-year-olds who throw tantrums. When she’s not running scared, she’s mother to a girl and a boy who were respectively six and eleven years-old when they wrote and illustrated The Mosquito and the Teapot. She lives with her husband and children in Hyderabad, India, where a lot of her stories are set. 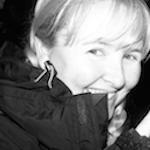 Joanna is the independent author of action-adventure thriller novels, Pentecost (Feb 2011) and Prophecy (Jan 2012). Both books have been Amazon bestsellers in the Action-Adventure category and Pentecost has sold over 22,000 copies. 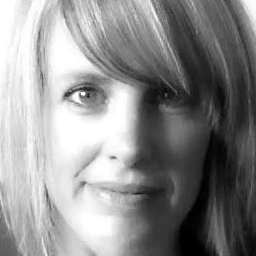 Joanna is an international speaker and consultant on digital publishing and online marketing. 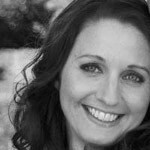 She also runs TheCreativePenn.com which helps people write, publish and market their books with useful articles, video, audios and multimedia training packages. The Creative Penn was voted one of the ‘Top 10 Blogs for Writers’ in 2010 and 2011. Eden’s background was in music and computer games publishing. At the birth of the internet in the mid-nineties she went on to acquire a professional qualification in multimedia design and ended up working for a digital marketing agency where she became a copywriter for a big tech company and started building websites. Eden has always written but hadn’t done anything about it so she decided to get serious about the craft of writing starting with the Writer’s Program at UCLA. She went on to complete a bachelor’s degree in writing contemporary fiction: industry and practice, a master’s degree in creative and critical writing, and a postgraduate certificate in education. Eden now teaches fiction writing and publishing at Southampton Solent University. Eden writes hardboiled crime thrillers and after following the course of events in self-publishing from around 2009 and having witnessed first-hand how the new world of digital publishing obliterated the model set by the music industry, it really was a no-brainer for her to publish independently. She is not against traditional publishing, she is for authors. Eden believes there are many more talented authors than there are traditional publishing outlets to bring them to market and that the current model is broken. She independently released book one of her crime thriller series in February and book two is set for release in autumn 2015. She is proud to be at the forefront of teaching about these revolutionary changes to her university students and implementing them practically via the University’s press. Debbie Young is the author of fiction and non-fiction. Some of her short stories have been compared to the work of Roald Dahl and Charles Dickens, and her down-to-earth “Sell Your Books!” helps authors around the world gain confidence and expertise in book marketing. Debbie co-writes ALLi’s series of guidebooks and is currently working on a series of novels in which many of the characters are authors. I grew up in The South, where iced tea is always sweet and BBQ is a religion. I went from reading every horse story in the world, to Jane Austen, Georgette Heyer, and then on to Mysteries and Sci-fi/Fantasy. About 1986, I wrote my first novel. Not having a computer back in those days, I wrote the whole thing in a notebook with a pencil. When It was complete, I knew I was hooked, because I’d never stuck with any of my artistic hobbies as long as I did writing that book. So, I wrote another one, and another one. Then I went through, well, LIFE, that included three marriages, eight geographic moves, and changing careers from being a marketing manager to a nurse practitioner, which required going back to college to get a masters in nursing. Finally, in 2008, my writing mojo returned and I decided to pursue publishing. After many long hours of learning and giving up all pretense of outside fun, I moved into the ranks of published authors. My first novel, Memories of Murder, won several awards in 2012 and continues to receive wonderful reviews. The first book in my DraculaVille series won the Rudy award for best novel with romantic elements in 2013. In 2014, the first book in my new children’s series, Lyra to the Rescue, won the Global E-book award for Best Children’s Picture Book fiction. I am blessed. I’ve now published more than a dozen books and short stories and am thrilled to be able to share my love of adventure, fantasy, romance and mystery with my wonderful readers. Yes, I write in different genres, but the basis of all my tales is my attempt to entertain you. Until the wind changes, I’m living on my sailboat in Norfolk, Virginia with my husband, Joe, and our two Yorkies, Belle and Bruno. Voted one of the best Long Island authors for two consecutive years, Dina Santorelli is the author of the self-published debut novel Baby Grand, a top-rated mystery/thriller and best-selling organized crime thriller on Amazon Kindle. She has been a freelance writer for over 16 years and has written frequently about travel, entertainment, lifestyle, the bridal industry, and pop culture. Dina currently serves as the executive editor of Salute and Family magazines for which she has interviewed many celebrities, including James Gandolfini, Tim McGraw, Bryan Adams, and Kevin Bacon, among others. She has collaborated on a variety of nonfiction book projects, including Good Girls Don’t Get Fat, The Brown Betty Cookbook, and Bully, the companion book to the acclaimed documentary. Her book Daft Punk: A Trip Inside the Pyramid was published by St. Martin’s Press in January 2014. Dina also lectures for Hofstra University’s Continuing Education Department. 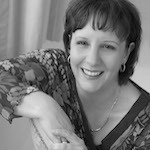 For more information about Dina, visit her website at dinasantorelli.com. If you are interested in becoming an ambassador for ALLi in your area, contact us here.